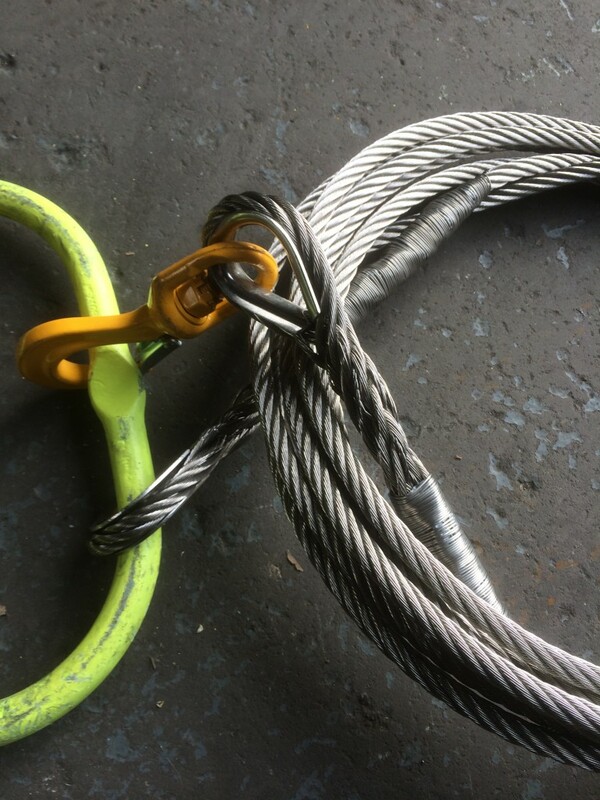 Stockiest of Galvanised, Un-galvanised, Compact and Anti spin wire ropes, Stainless Steel wire rope and PVC and Nylon covered wire ropes in various colours. Aluminum, copper and stainless steel ferrules standard or tapered. We offer bespoke one off assemblies up to large batch orders, working closely with our customers so they can archive there finished goal. 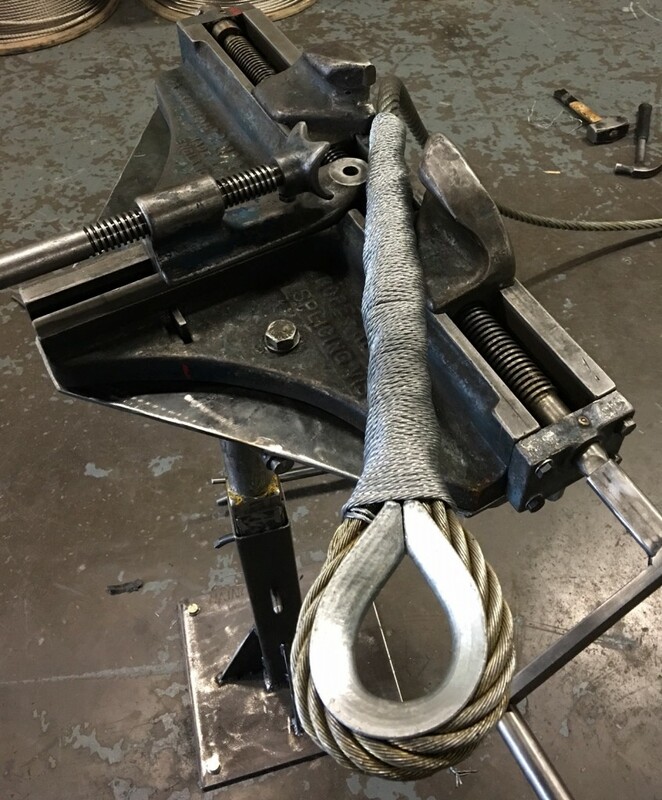 Long splicing Ferris wheel drive ropes are all made in house at Mainco by our qualified splicing team. 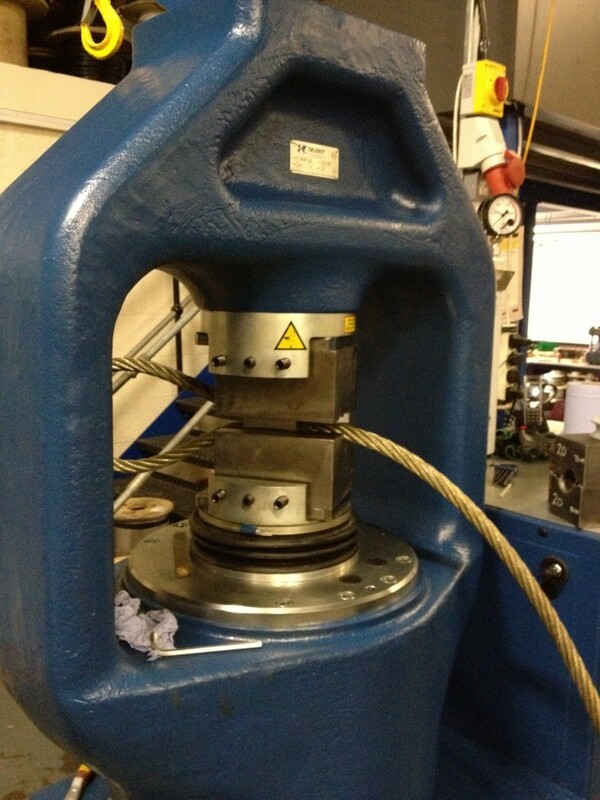 A hydraulic cable winding machine this can handle up to 40mm diameter wire ropes on reels up to 4t in weight from our large turntable this machine measures and cuts with fume and spark extraction. lifts and lowers wound over reels effortlessly. 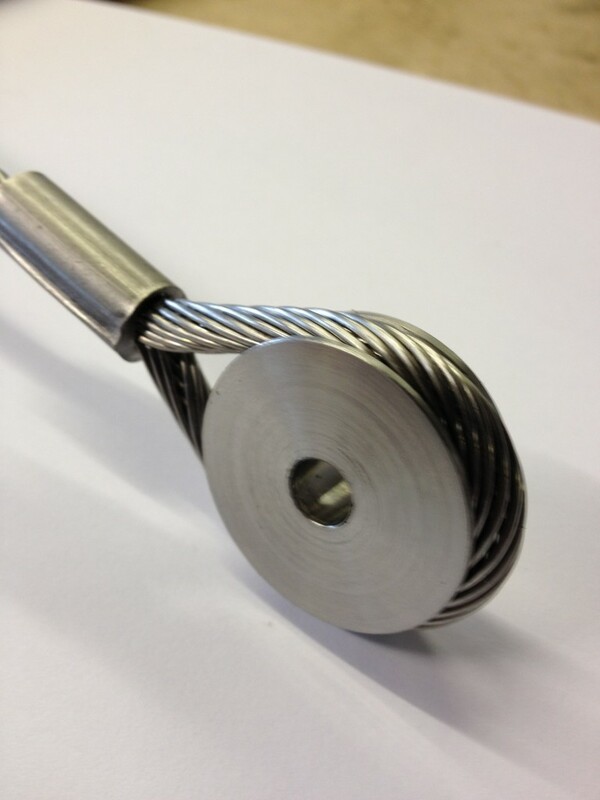 An annealing Fuse & Tapering Machine, enabling us to now fuse the ends up to 30mm diameter. Our small wire diameter splicing department has six 25t presses, two 30t, one 40t and one 60t press enabling us to maintain our agreed delivery dates. Mainco has its own machine area, with 3 Lathes, milling machine, grinders, band saw enabling us to make one off bespoke parts. Mainco operates a Quality Management System to ISO 9001:2008.